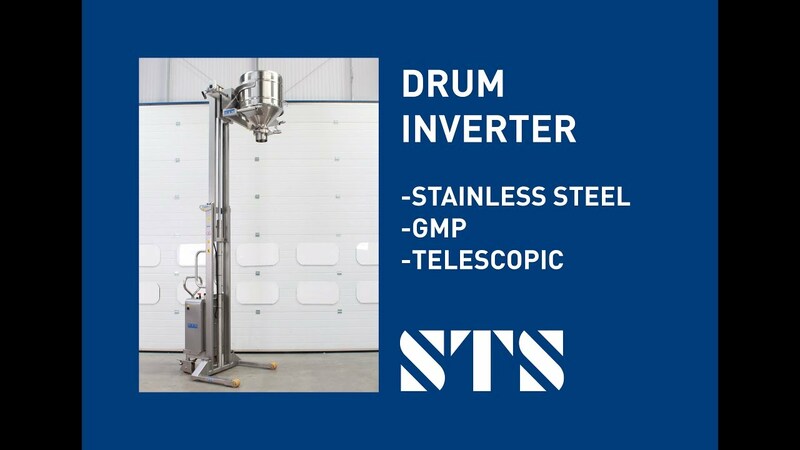 Explore this fully-bespoke stainless steel drum inverter designed for handling pharmaceutical drums; constructed from 304-grade stainless steel. A client in the pharmaceutical industry required two drum tippers for their tablet manufacturing process. 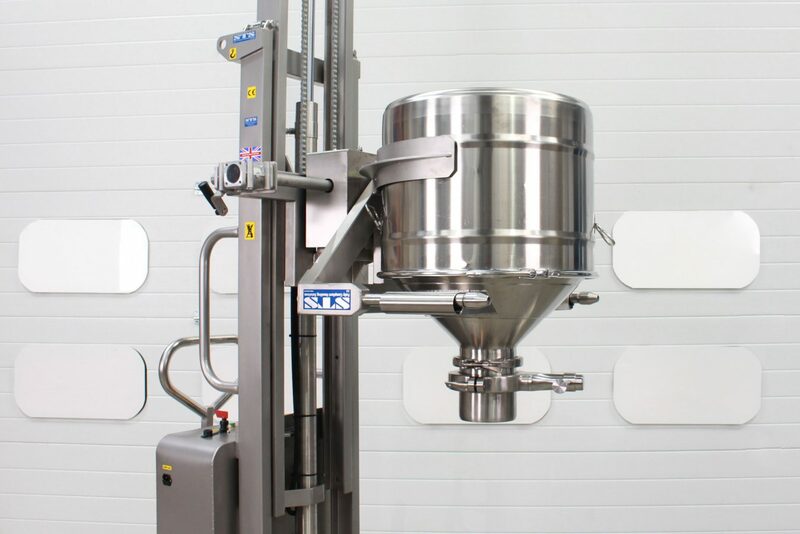 The equipment needed to lift specialist drums containing prescription drugs; drums would be inverted and loaded onto an automated dispensing machine. The blister line equipment had intake hoppers at a height of 2800mm and therefore extra-tall lifters were required. 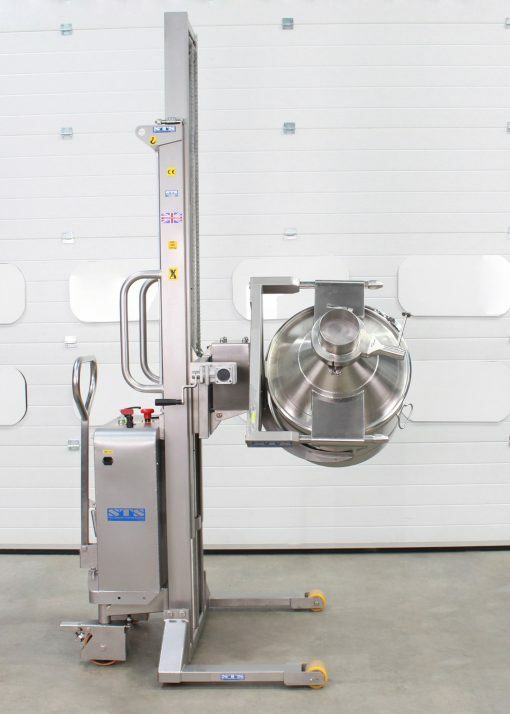 The customer required a fully-bespoke head assembly to enable specialist drums with cones to be inverted, lifted out of reach, and then detached without any physical contact or powered functionality. The bespoke forks on the head featured protruding end-stops which retained the drum while downward load was applied. 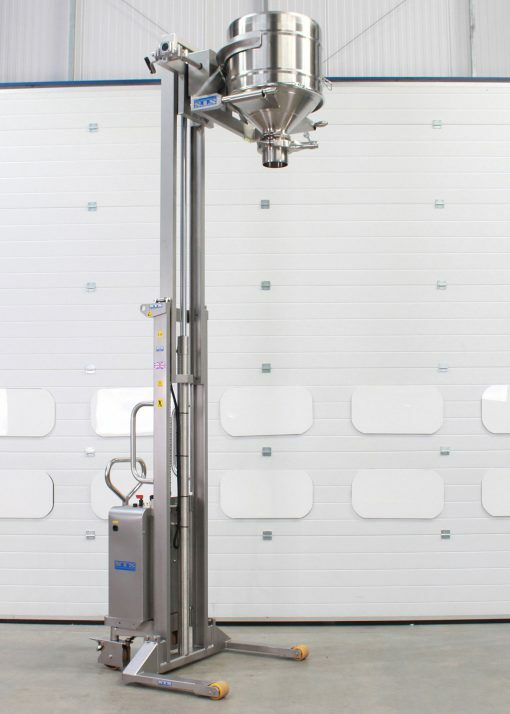 The lifters were to be manufactured from 304-grade stainless steel with a very smooth clean finish for use in the pharmaceutical area. Custom forks for handling special drums and cones. 304-grade stainless steel finish construction. Manual gearbox rotation to 180°. 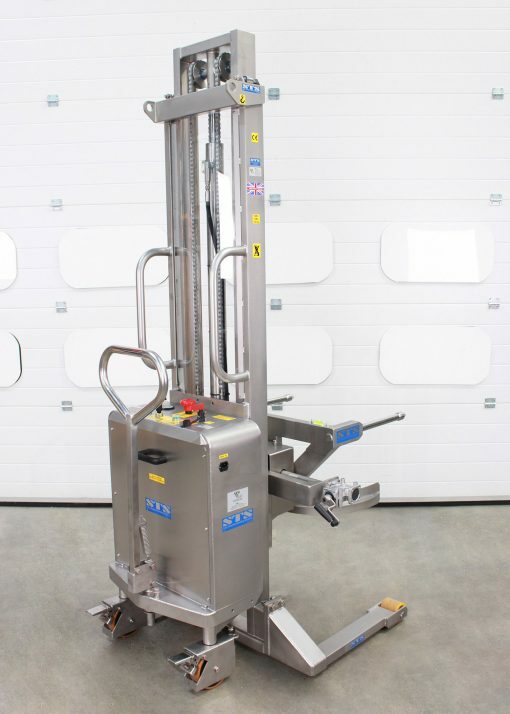 Telescopic dual-mast lift up to 2800mm. Inverted drum showing bespoke fork design. As with all stacker trucks we manufacture, a stability tilt test is carried out upon a new design being introduced. The tilt test is designed to ensure the stability envelope detailed in the design stage corresponds with the actual stability of the unit. With this project it was important that tests were also carried out on the new fork design. A number of crash tests were conducted to verify that the drum would not escape from the head during a collision or malfunction. 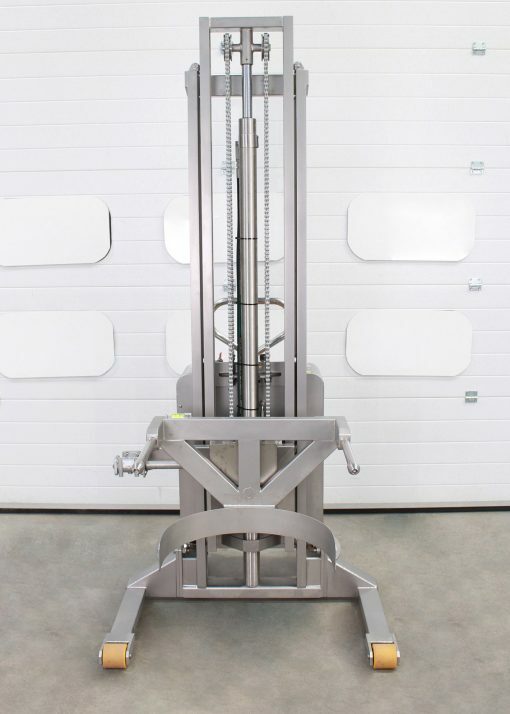 If you require a custom lifter to handle a special drum and cone assembly, please get in touch with our team. We can tailor our range of products to suit your exact requirements with a full design and build service. Our bespoke drum rotators provide solutions for unique drum tipping applications that require special features and custom dimensions.